Swear Town on Beer Lake, Bloat Island in Rum Lake, the Town of Lick Spiggot on the Shores of Whiskey Lake . . .
Gout Island appears in Wine Lake, Delirium Tremens Island in Whiskey Lake. The town of Headache is on the shores of Brandy Lake, as is the town of Nervous. Oyster House Point is off of Tipling Island. Thicktongue Landing is on The Great Gulf of Wretchedness, downstream from Sore-Eye Landing and the town of See-Double and Fetid Breath Landing. 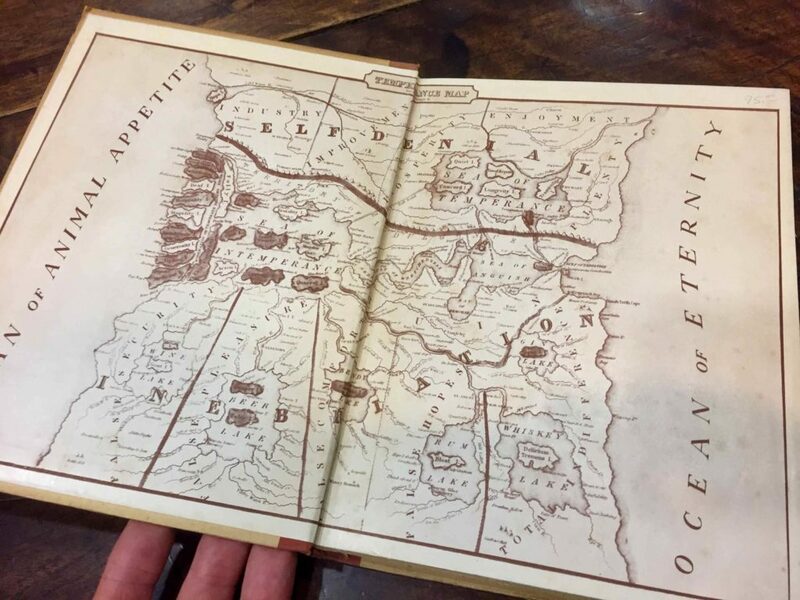 There’s even a Gin Lake! 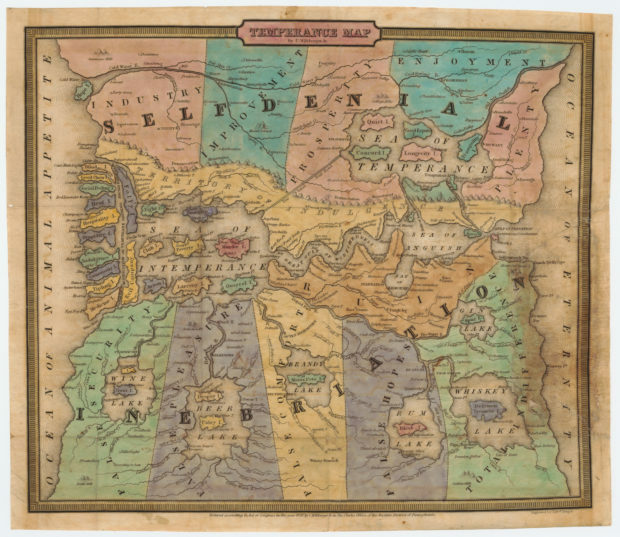 Check out the “Temperance Map.” Below is the original poster that was later adapted for the endpapers of the book The Saloon in the Home or A Garland of Rumblossoms by Rigley Hunt, Illustrated by John Held, a book that celebrates cocktails. Thanks to Tom Posey for this. Click here to visit Cornell University Library Digital Collections see an enlarged version of the map. Here is a description of one we sold a few years ago here at BRB. 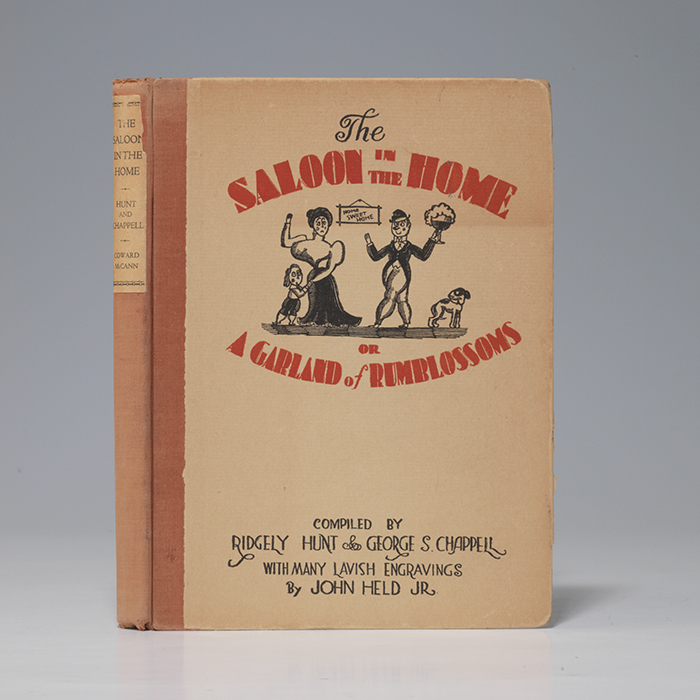 HUNT, Ridgely; CHAPPELL, George S. The Saloon in the Home. Or a Garland of Rumblossoms. New York: Coward-McCann, 1930. Small quarto, original half russet cloth, printed boards, printed paper spine label.$450. 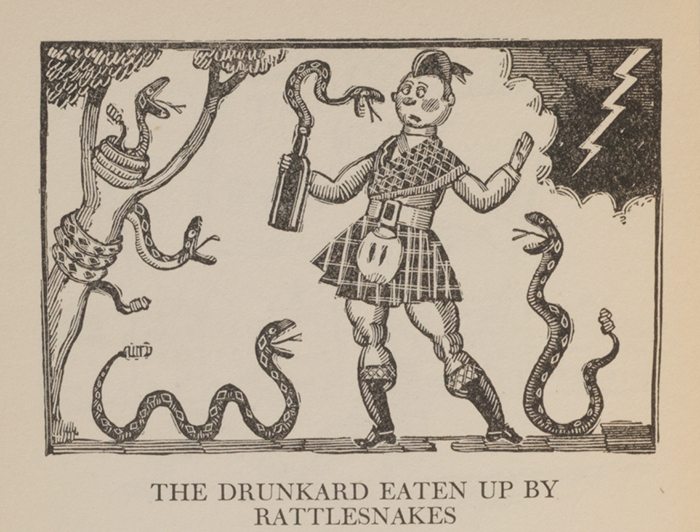 First edition of this humorous post-Prohibition survey of 19th-century temperance tracts, stories, sermons and poems, richly and comically illustrated by John Held.